Welcome to Style Trolley - a carefully curated collection of women's clothing and accessories that I'd be proud to add to my very own wardrobe. Style Trolley embodies a modern, sophisticated lifestyle with a classic edge. 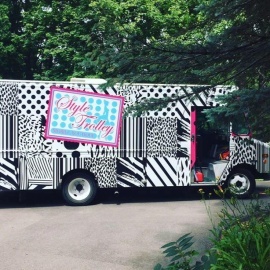 An eye for fashion - impeccable, on-trend designs at affordable prices ... all on wheels! 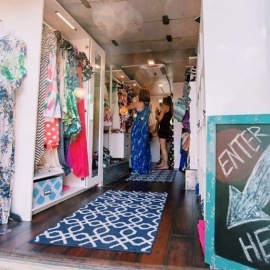 Why a mobile boutique? Consider it a break from chain stores - style delivered to your neighborhood and local events. Picture it - your next lady's night, great food, some fabulous wine ... and a high-end boutique with it's door's open to only you and your guests. Pure bliss. My enthusiasm for fashion and expressing myself through my personal style is why I started Style Trolley - I want to share this passion with others and help them create their own personal brand. Allow me and Style Trolley to exceed your expectations.